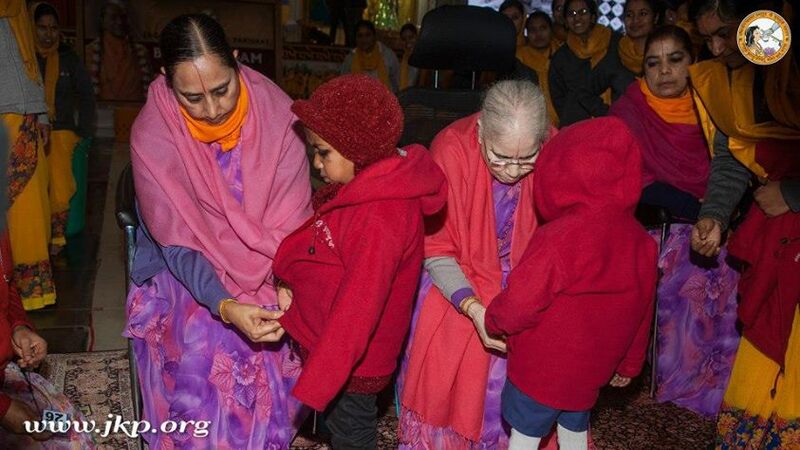 Looking at the increasing cold this winter, Presidents of Jagadguru Kripalu Parishat Sushri Dr. Vishakha Tripathi, Sushri Dr. Shyama Tripathi and Sushri Dr. Krishna Tripathi, distributed warm jackets to around 4,000 poor students of Mangarh and neighbouring villages on January 4, 2015. The students, from grade 1 to 12, came from fourteen different schools in and around Mangarh. It was a pleasure to see the smile on the student’s faces as they were leaving Mangarh wearing the maroon jackets they received. The students were also offered sweets and water. Earlier last month, on December 8, 2014, blankets were donated to about 7,000 students to protect them from the cold weather. 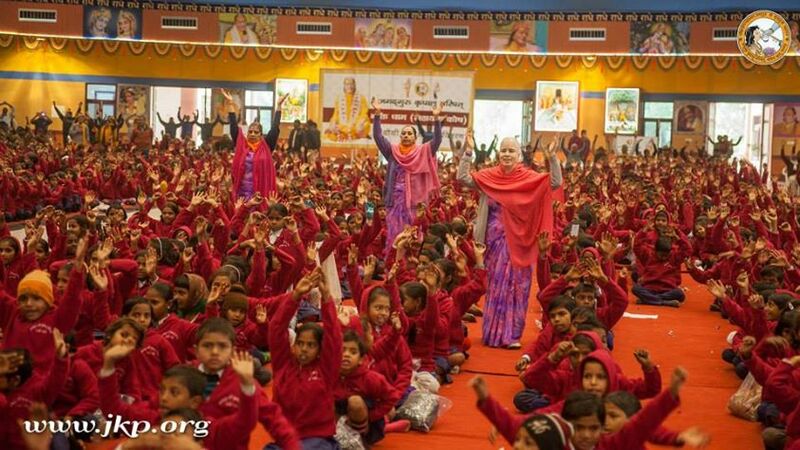 From time to time, Jagadguru Kripalu Parishat donates stationery, utensils and other items of daily use to students of schools in Mangarh and neighbouring villages. Posted on February 23, 2015, in Event, Jagadguru Kripalu Parishat and tagged Jagadguru, Jagadguru Kripalu Ji Maharaj, Jagadguru Shri KripaluJi Maharaj, Shree Maharajji. Bookmark the permalink. Leave a comment.